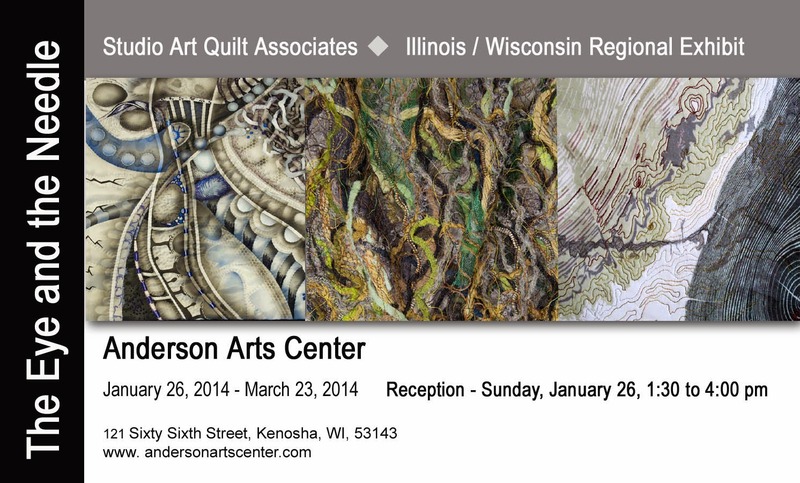 Two fiber art exhibits: The Eye and the Needle and Salvage and Selvage will be at the Anderson Arts Center in Kenosha,WI, January 26- March 23,2014. A reception with the artists is Sunday, January 26, 1:30-4pm. A color catalog, “The Eye and the Needle “ is available for purchase through blurb.com. For more information about the exhibit contact Pat Kroth, SAQA regional representative and exhibition curator: krothp@juno.com mailto:krothp@juno.com or Barbara Schneider, Illinois SAQA regional representative: bjsco@comcast.net mailto:bjsco@comcast.net. 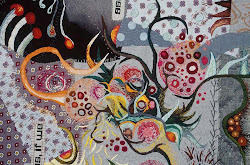 Salvage and Selvage, a fiber art exhibit using recycled materials, by members of the Fiber Artists Coalition is premiering at the Anderson at the same time. The exhibit premiers at Anderson Arts Center, then goes on to the Leigh Yawkey Woodson Museum in Wausau in April 2014, and will tour to locations throughout the US during the next two years. “Salvage is the saving and use of waste materials; Selvage is the fabric edging woven to prevent fraying.” In Salvage and Selvage, Members of the Fiber Artists Coalition combined these notions and embraced the challenge to create fiber artwork using “non-traditional” materials. No other directives were supplied. 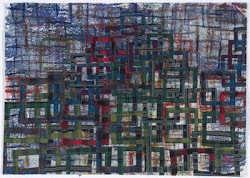 The individual works use a variety of materials, surface design and stitching techniques to create unique explorations in fiber art, including: game pieces, packing materials, bubble-wrap, kimonos and candy wrappers. 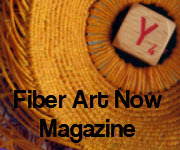 Fiber Artists Coalition is an affiliation of textile artists who collaborate in securing opportunities for work to be exhibited in venues throughout the US. 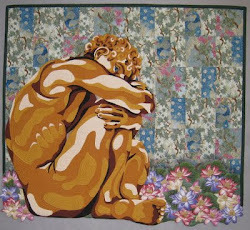 Members of FAC employ a variety of innovative materials and techniques in the creation of fiber art with a contemporary edge. Some members have published books about their artistic processes and are in demand as teachers and lecturers. 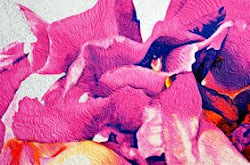 Many exhibit their work in juried group and solo exhibitions within and beyond the U.S. All are Professional Artist Members of SAQA. 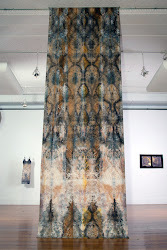 You can learn more about FAC at www.fiberartistscoalition.com http://www.fiberartistscoalition.com.